Sisterhood’s mission is to foster the highest ideals of Judaism, to promote closer community among its members, and to further the religious, social and educational activities of Ohef Sholom Temple. 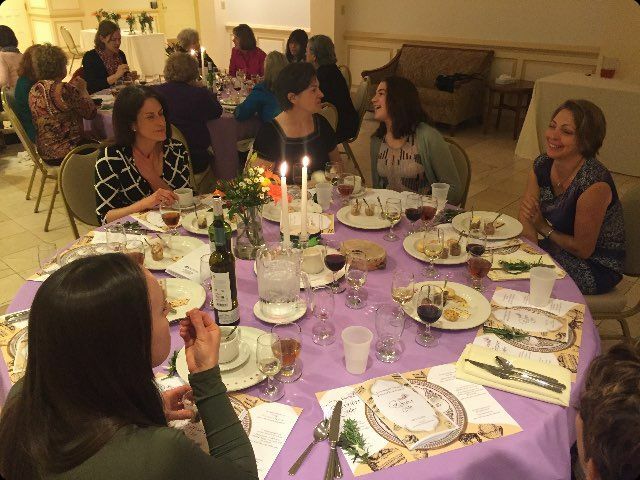 OST Sisterhood is a community of welcoming women from all walks of life who meet for spiritual, educational, and social growth through Judaism. Our diverse members are all ages and come from varying backgrounds, allowing us to join together to serve the needs of our congregation and community, while cultivating life-long friendships. You don’t need to be a member to check us out – please join us by coming to meetings and activities – all are welcome to attend! New OST Member – Free Your First Year! at (757)625-4295 or email sisterhood@ohefsholom.org.